EMINEM surprised a young fan by sending him a signed album and a sweet message. His parents Richard and Georgina have always played Eminem's music for Teejay, and explained: "We have taught him to listen to the lyrics and their meanings, and as Eminem raps about surviving difficult times, it makes him feel brave. Teejay, from Hampshire in South East England, explained: "I just wanted to thank him for getting me through the difficult times and show him how dedicated I am." And when the 42-year-old rapper heard about Teejay, he immediately sent him a package containing his 2010 album 'Recovery' with the note, "To: Tee Jay - Saw ur pic [and] read ur message! Thanks 4 the support! (sic)." Georgina told the Daily Echo newspaper: "He was so excited when we received the package, but he waited to open it until his dad got home from work. 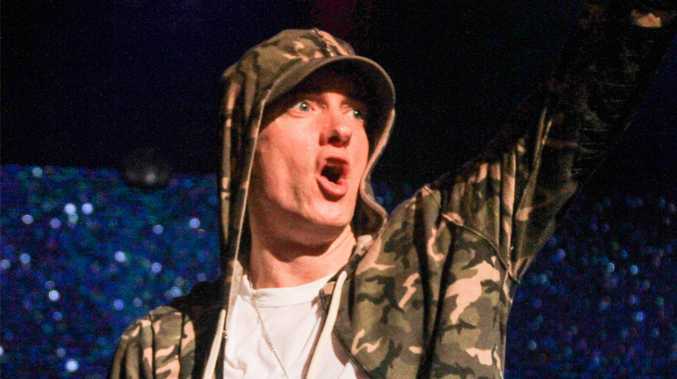 He was over the moon to read Eminem's message - it means the world to him."